POLL: Should ‘All 6’s And 7’s’ Have Had More Krizz Kaliko? One of the biggest selling points for All 6’s And 7’s was the use of high profile collaborations, many of which fans never thought could ever happen. Names like Busta Rhymes, Lil Wayne, T-Pain, and Deftones headlined this all-star cast of guest features. Sitting right next to all of these names were Strange Music’s usual suspects made up of Big Scoob, Kutt Calhoun, Stevie Stone, and Jay Rock. Each of the artists made their contributions to the album with some sharp features, but fans have recently voiced their concern over a noticeably absent Krizz Kaliko. Kaliko’s voice is actually scattered throughout the album on hooks and bridges, but fans feel like he should have been more prominently featured on a verse or two. We would like to know how you feel. 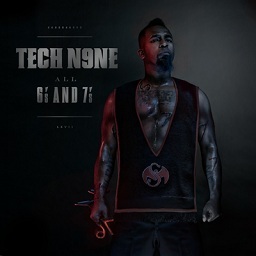 Should All 6’s And 7’s have had more Krizz Kaliko? Vote below for your choice. Should ‘All 6’s And 7’s’ Have Had More Krizz Kaliko?